Fans of exceptionally tricky mazes will love to roam the twists and turns of these labyrinths on a massive scale. Featuring mind-bending mazes that are as spectacular to look at as they are staggeringly tricky to solve, maze masters will have to negotiate a variety of inventive puzzle types including 'bridge', 'multi-floor' and 'warp' mazes. 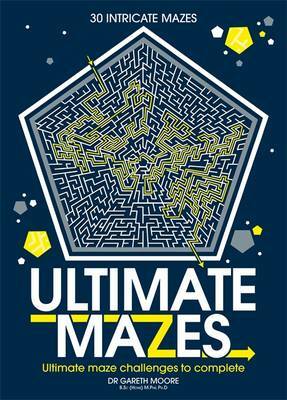 Each maze has been specially designed and created by maze expert extraordinaire Dr Gareth Moore.